If you want to play Paintball in Romford Mayhem paintball is Rm4 1AA so less than 10 minutes from the centre of Romford, you can also get the 375 bus from Romford Market to Mayhem Paintball it stops at Passingford Bridge where Mayhem offers a free mini bus pick up and return to the Bus stop which is 2 minutes away. If you are in need of mode of transport to get to us be sure to check out Vroom Vroom Vroom. 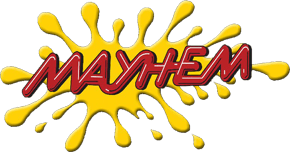 What Makes Mayhem Paintballing so amazing are the variety with 15 different playing areas; From our Urban, with Cars, Tractors, to our Call Of Duty Map which is an almost exact replica of Bog from Modern Warfare with a real Russian Battle Tanks, shipping containers, Buildings and much more. Mayhem uniquely offers Thermal goggles which are double glazed this means they don’t steam up, we have to get them tailor made as they offer great protection and are very comfortable. Mayhem Romford has been established since 1987 and has been running for 27 years. Being so close to the centre of Romford if you fancy playing paintball come over and visit and we will happily show you around.